If you follow me on social media. 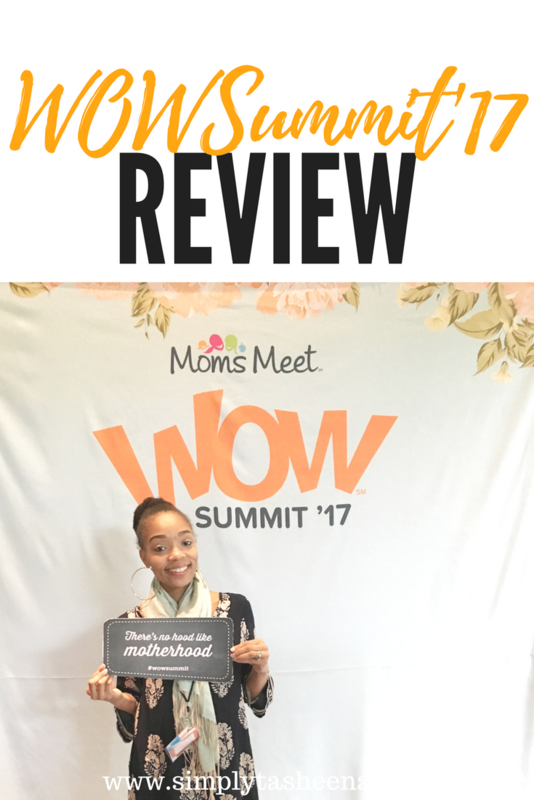 I attended the 5th Annual WOW Summit in Chicago for the first time ever. I honestly didn't know what to expect from this event. To be honest with you. All blogger events are completely different. I never go into an event thinking that it's going to be like any other event that I've attended. I was really surprised with the attention to detail with this Summit. From the quality of the event programs to the little details of the event like having umbrellas ready for attendees and even having a luggage area for attendees as well. This might be something that's simple or small to others. However, to me, it means that the organizers care and listen to feedback from attendees. I think this the first blogger event that I've attended that has had a luggage area. This was perfect for me because I had to be checked out of my hotel room by 11 am and the event wasn't over until 5 or 6 pm. I loved all of the workshops in which I attended. I learned so much and felt that I was given so much valuable information. I love that I was actually able to learn something new and attend a workshop. I've been to events in the past where the room was beyond packed. Which is cool. However, it's was nice to be in a small setting. It feels as if my voice was heard. I really enjoyed all of the speakers at this summit. I felt as if they were engaged and I really carried about what they were saying. So many times during the day I went from laughing to wanting to cry. That's good the speakers were. They had my attention and I loved every moment of them being on stage. Becuase let's be honest. There are times when we attend events and were looking at the time. Not the case with the WOW Summit. The WOWSummit was held at the Eaglewood resort. I gave my review on the resort here. It really felt as if I was on a retreat, to be honest with you. The hotel had amazing views, a spa, pool fire pit golf course. You name it, they had it! The location was perfect! It was so relaxing and the hotel wasn't super busy. The Moms Meet team really did an amazing job with this venue. I would attend any event hosted by the MomsMeet team. This is not an event that I heard about through word of mouth or one of those must-attend events. I so happy that I made the choice to attend the WOWSummit. It was such an amazing experience. I met so many wonderful people from all walks of life. I met so many other bloggers and moms from the east coast and all over. I met women who attend every year. I get it! I see why they really put on an amazing event. I have never join a blog event before but this one is really being held in a beautiful setting! I would love love to join one and learn more and meet other bloggers ans hopefully I could join the Wow summit event next year! This looks like such a good event! It's nice to meet other bloggers and learn together. I haven't attended a bloggers event yet but want to. I'm sure once I go to one the rest will be easier to attend. I like the sign that said: "Mom is WOW upside down"!. So very true. Very nice summit though, wished I could've gone. This sounds like a great event. I'd love to attend an event like this. And yes mom is WOW upside down, I love that! I'm glad you had such an awesome time at this workshop! It looks like a ton of fun!